Lauded as a “poly-stylistic virtuoso” for her broad range of expression, Michelle’s repertoire ranges from pre-Baroque to works newly-written for her, including a fondness for the underplayed and undiscovered and a growing emphasis on improvisation. Her chosen programs typically reveal a close attention to the aesthetics of balance and a sensibility that reflects her love for the pulse of poetry and nature, movement and silence. She is happy to be involved in the numerous projects that give voice to the varied facets of her interests. Solo violin recitals in St. Paul’s Chapel at the Huddersfield Contemporary Music Festival in the UK and on the Music at our Saviour’s Atonement series in New York, performing works by Tartini and Crockett from her latest cd, To be sung on the water, as well as Rochberg and Hartke. Violin/piano duo recitals with Massimo Giuseppe Bianchi in Italy, including in Milano, Savona, Varese, Finale Ligure, Varallo and in Lugano, Switzerland and were featured guests twice in one year on the RAI Radio 3 program, La Stanza della Musica and on Radio Svizzera Italiana Rete Due, performing works by Stravinsky, Bach, Castiglioni, Beethoven, Debussy, Busoni and Brahms. Improvisation performances with pianist Marilyn Crispell at the Kleinert Center in Woodstock, N.Y, and at the Huddersfield Contemporary Music Festival in the UK. Improvisation with clarinetist / philosopher/ ecologist David Rothenberg (author of Sudden Music and Why Birds Sing), to be featured on the CD which accompanies his forthcoming book, Thousand Mile Song. Clarinetists - Eduard Brunner, Fred Ormand. Flutists - Julius Baker,Timothy Day, Michael Parloff. Oboists - Elaine Douvas, Joseph Robinson, Alan Vogel. Bassoonist - Milan Turkovic. Ensembles: California Chamber Virtuosi, Chamber Music Society of Lincoln Center, Da Capo Chamber Players, Hilliard Ensemble, Romeros, Montecito Quartet, Music from Marlboro,Vermeer String Quartet. In addition to her devotion to musical expression and performance, Michelle is a long-time student and Certified Teacher of the Alexander Technique, a psycho-physical discipline developed in the early 20th century by F.M. Alexander and now taught at performing arts and other institutions around the world, as well as in private practice. 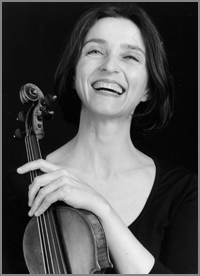 Her dedication to a consciously integral approach to life and learning is expressed through her private teaching and also in masterclasses, workshops, presentations and residencies at institutions including: New England Conservatory, Juilliard School, Luzern Conservatorium, Oberlin Conservatory, North Carolina School for the Arts, Interlochen Arts Academy, Toronto Royal Conservatory, Indiana University.